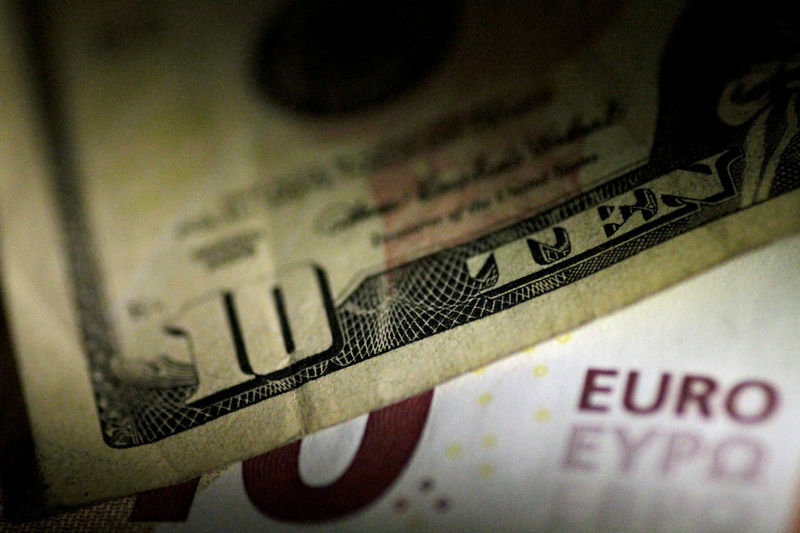 LONDON (Reuters) – The euro climbed half a percent on Friday after stronger than expected French business activity in June raised hopes that concerns about a widening slowdown in the eurozone in the second quarter may be slightly overdone. With Germany flash services PMI data also beating forecasts, the single currency rose to the day’s highs at $1.1674. For the week it is poised to register a 0.5 percent rise, breaking last week’s fall. “There was a lot of euro selling in the last few weeks because of the Italian market selloff and German politics, but those concerns have vanished and we are now advising clients to hold on to their euro positions,” said Manuel Oliveri, a currency strategist at Credit Agricole (PA:CAGR) in London. Sentiment towards the euro was also boosted by a general increase in risk appetite across the board with Asian stocks (MIAPJ0000PUS) up half a percent while high-yielding currencies such as the Australian dollar and the New Zealand dollar also posting chunky gains. The euro’s bounce pushed the dollar lower against a broad basket of its peers (DXY) with the greenback down 0.2 percent on the day at 94.58. The Philadelphia Federal Reserve’s manufacturing index fell sharply to a 1-1/2 year low in the previous session, raising concern about the world’s largest economy and prompting some traders to book profits on bullish dollar bets, analysts said. The Philadelphia Fed index on U.S. Mid-Atlantic business activity fell to 19.9 in June from 34.4 in May, its steepest fall since January 2014. Against the yen, the greenback was little changed and was modestly higher at 110.14 yen , below a one-week high of 110.76 scaled the previous day amid lingering concerns over the trade dispute between the United States and China. Sterling last traded at $1.3284 , building on from Thursday’s gains after Bank of England Chief Economist Andy Haldane unexpectedly joined the minority of policymakers calling for rates to rise to 0.75 percent, citing concerns about growing wage pressure.